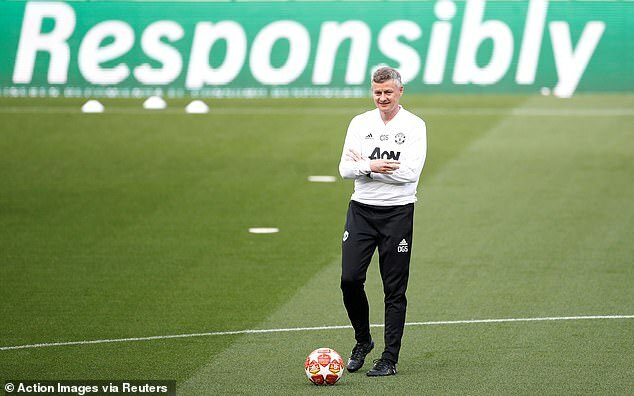 Ole Gunnar Solskjaer believes his momentous winner for Manchester United in the 1999 Champions League final proves that ‘anything can happen at any time’ in football as he tries to confound the odds on his return to the Nou Camp on Tuesday night. 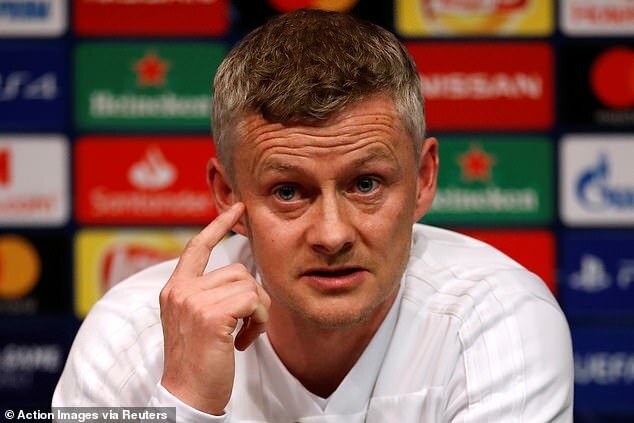 But Solskjaer tried to plant a seed of doubt in the Spaniards’ minds as he raised the prospect of set-pieces and injury-time goals. In ’99 United struck twice in quick succession from David Beckham corners with Teddy Sheringham and Solskjaer scoring to complete an epic comeback against Bayern Munich in Barcelona. ‘I was a player back then, but in football anything can happen at any time,’ said Solskjaer. ‘We can still be in this tie in the 93rd minute. We can get a set-piece we are physically taller than them. ‘It’s about the quality but going forward we need to score and I don’t mind if it’s in the 93rd-minute because. If we get to injury-time we are a fit team. We’re getting fitter and fitter. ‘Physically we’re ready. We can deal with that and I expect my players to be ready. You mobilise. You’re going to play at Camp Nou and I know they’re going to play until the cramp takes them. 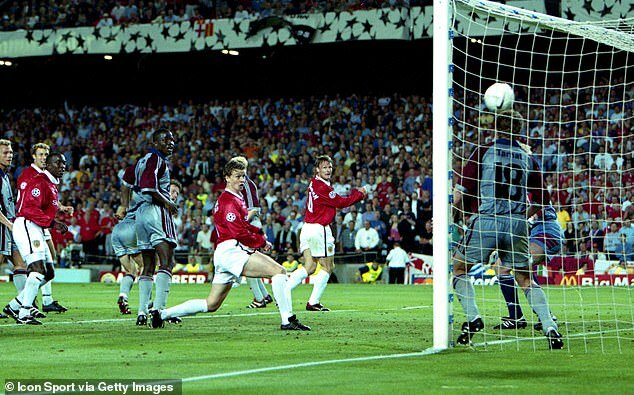 Solskjaer phoned a friend at home in Norway before the ’99 final to tell him to tune in because something special was going to happen. 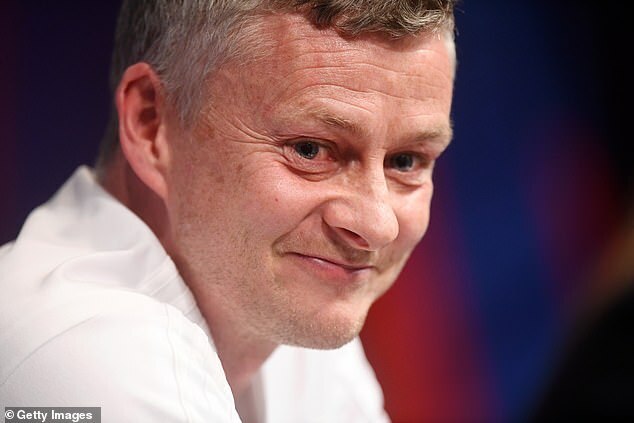 Asked if he believes in fate, the United manager replied: ‘I believe you get what you deserve in sports – that if you put your life and effort and determination into it, you get exactly what you deserve. 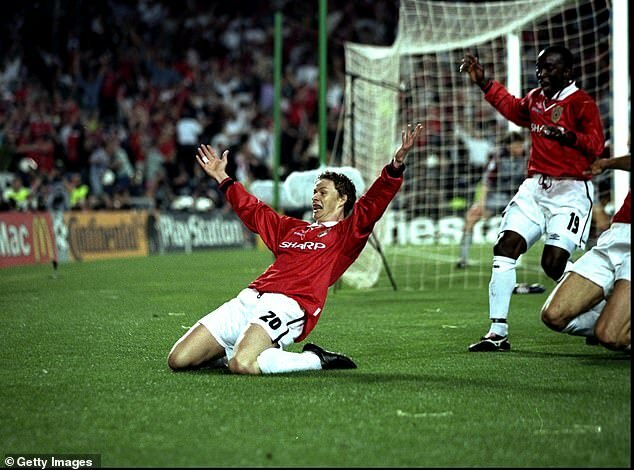 Solskjaer hasn’t been back on the pitch here since that night. 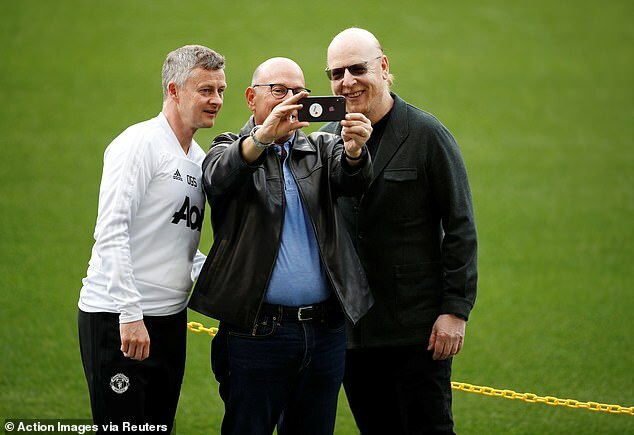 He brought his son Noah to a game in 2016 and was accompanied by his assistant Mick Phelan on a scouting mission earlier in the month. ‘Many emotions,’ he replied when asked to reflect on his finest hour. ‘It’s a fantastic memory for me. The last time I was on the pitch was the only time. I’ve been in the stands, brought my son in a Clasico in 2016, high up in the stands and I was here 10 days ago. 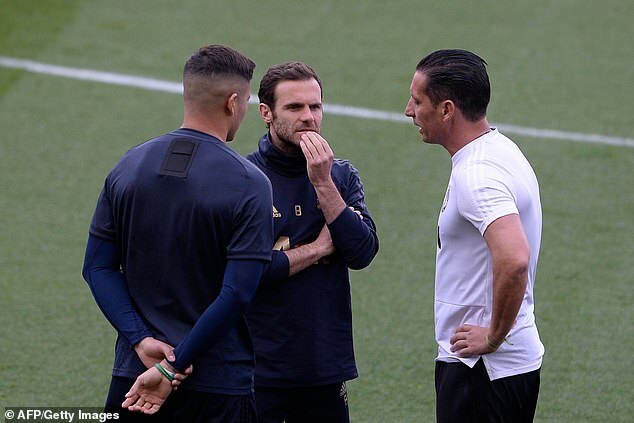 ‘Of course, that memory from PSG will help the players and us a as a team. We know we can turn things around,’ he added. 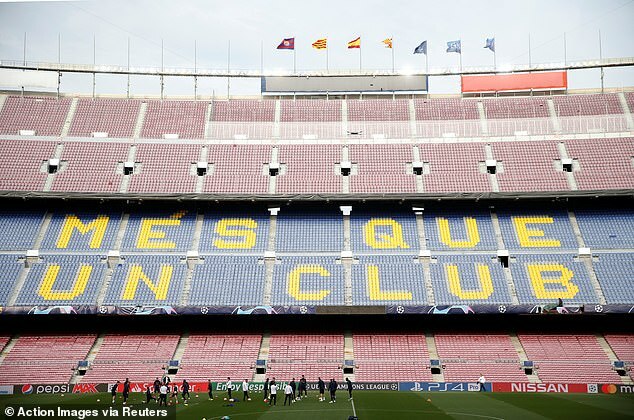 ‘Barca at the Nou Camp is a different prospect but the memory from that night will live with the players. It’s not that long ago and we’re one goal better off. Asked why United’s scoring has dropped off in recent games, he said: ‘That’s the 100million-dollar question, who can score them? That’s why the best strikers are the most expensive ones. We had a couple of decent chances but when you can’t work the goalkeeper you can’t score. We know we’ll create chances. We have a goal threat. It’s about taking a deep breath and taking those chances. 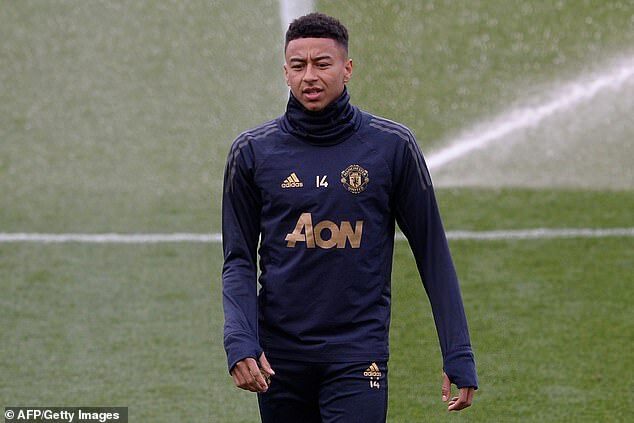 ‘We need to score goals and if it’s Rom (Lukaku), Jesse (Lingard), Alexis (Sanchez) or Marcus (Rashford), we need big performances. We have to defend well and have that little bit extra to score goals against teams like this. Whoever starts tomorrow, when they’re on the pitch we want to see some good form. We weren’t good enough against them. ‘We didn’t stamp our authority on the game at home. We didn’t keep the ball as well we should have and didn’t create enough chances. If you give their players time on the ball and too many chances to create you’ll suffer. I hope we are not just going to be camped outside our own box. ‘Alexis has been here and played, and when he’s on the pitch he wants to prove a point for us as well,’ he said. ‘He’s been injured and not had a fantastic season so far. Let’s hope he can end the season great.